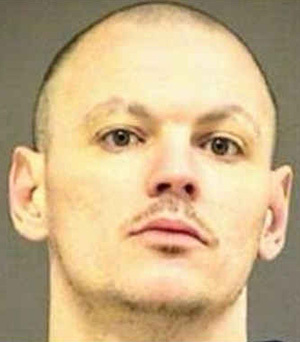 An Oregon man did not make a clean getaway early Sunday after stealing a street sweeper and leading police on a 10-mile chase. Haguewood then drove off in the Isuzu street sweeper. Upon learning of the theft, cops in Hillsboro, a city 20 miles outside Portland, quickly located the vehicle on the deserted pre-dawn streets. “Officers activated their overhead emergency lights. The street-sweeper failed to yield,” cops say. For 10 miles, officers pursued the street sweeper, which topped out at 65 mph. The chase ended after Haguewood drove over spike strips placed in the roadway by Washington County Sheriff's Office deputies. Pictured above, Haguewood was taken into custody without incident and charged with multiple counts, including auto theft and attempting to elude police. He is also facing a parole violation charge in connection with a prior conviction for aggravated harassment. Haguewood is being held in the Washington County jail.